“ODS promoted leadership qualities within myself by pushing me into a position of HUGE responsibility. Daybreak Middle School is committed to providing our students with a top tier education. Our goal is to better serve our students and provide them with an education that will prepare them to live any kind of life they choose. To accomplish this goal we must find innovative ways to combine technology integration with strong communication, problem solving and leadership skills. 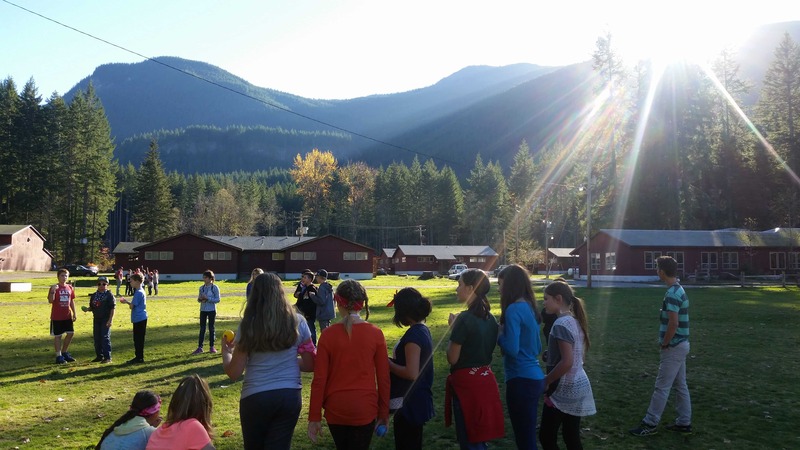 For decades, the Cispus Outdoor Learning Center near Randle, WA has provided students with opportunities to put classroom lessons into action. The 68-acre campus provides an outdoor learning environment and overnight camp facilities that engages students in leadership activities, team building activities, hands-on science instruction and character building. For generations of students, outdoor school is one of the most powerful learning experiences they have in school. THANK YOUR FOR YOUR DONATIONS TO MAKE THIS OUTDOOR SCHOOL POSSIBLE. We want to thank all Daybreak Families for their continued support of our school. You can also follow this effort and stay up-to-date on important news and events through the Daybreak Campus Facebook and Twitter pages. Please contact Principal Kevin Palena if you have any further questions. The 6th Grade Outdoor School experience has been a huge success! The students were having fun learning, the weather was fantastic, and the facilities were great! We look forward to the upcoming year!